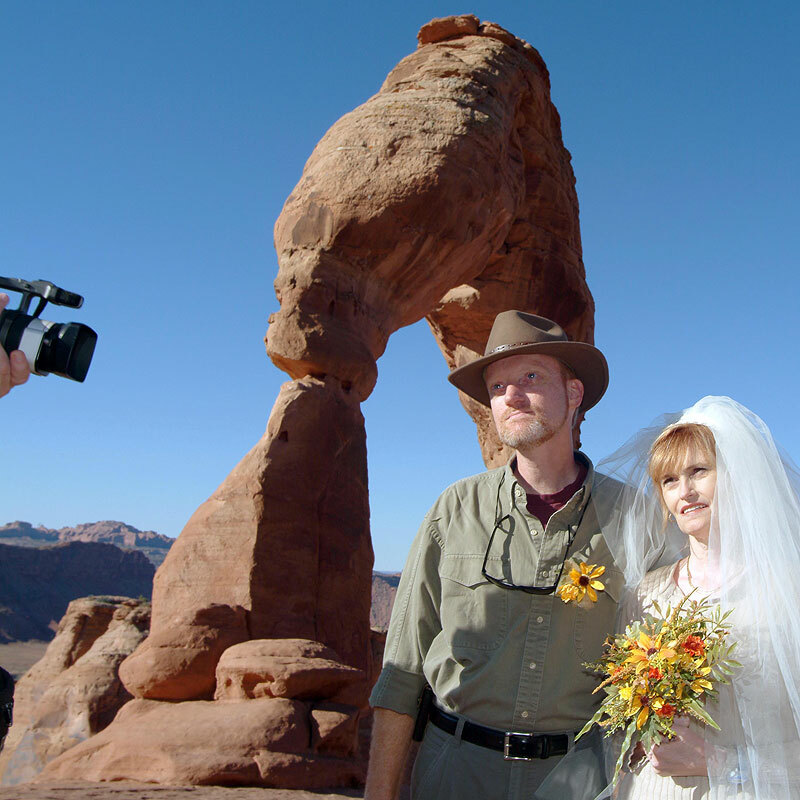 Abby and I exchange wedding vows at Utah’s iconic Delicate Arch in Arches National Park 12 years ago today. Today is our twelfth wedding anniversary. I kept trying to think of a clever euphemism, synonym or idiom about a dozen, but it eludes me. Abby and I were on our new front deck recently, just after sunset, holding each other close in the cool air. Abby and I pose for a photo just moments after getting married 12 years ago this morning. Fantastic. Happy anniversary. An awesome place to get married. Happy anniversary to both of you! P.S. Today’s subhead made me double over laughing. DAMN good thing you never sat behind me in class.